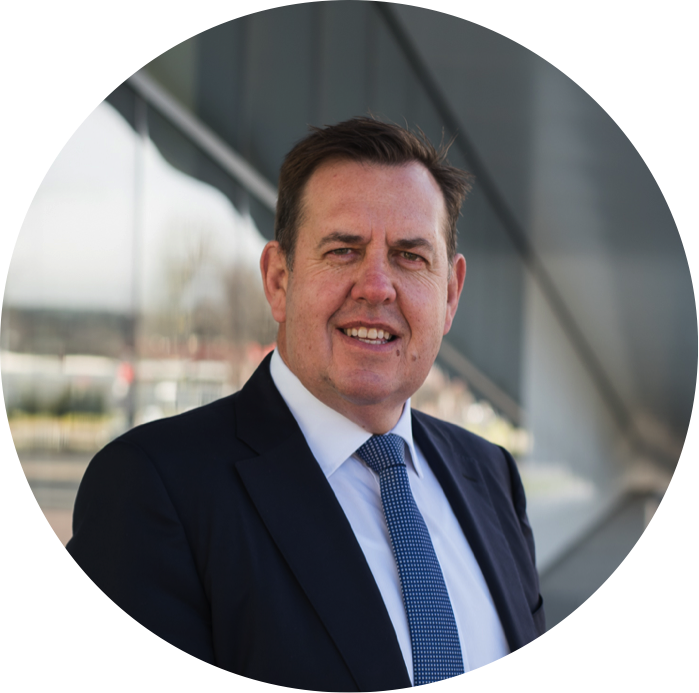 Free checklist: Are you the 'right fit' for business ownership? If you're thinking about buying or starting a business – moving from the employed workforce to self-employment – take a look at our free Business Owner's Checklist. The checklist features 10 common attributes our team tends to find in people who successfully build and run businesses. someone who can trust others. We find that one of the most important personal attributes of successful business owners is self-awareness, so be honest with yourself when using the checklist to assess your abilities and personal attributes. If you don’t have all the attributes listed when first embarking on self-employment, we recommend you find a way to get them. You could seek professional business advice and/or partner with people who can complement your skills and attributes. 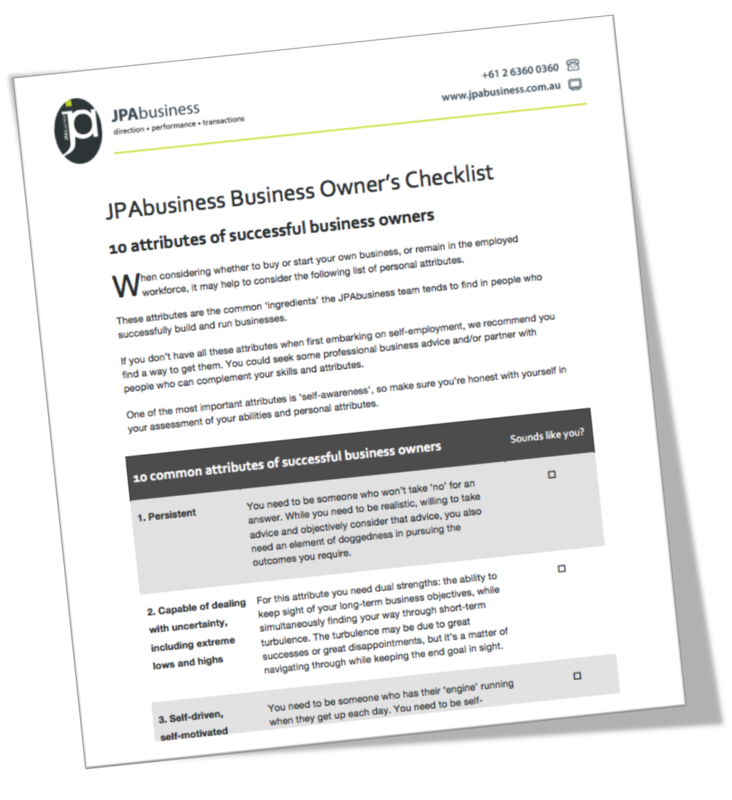 Click the image to download the Business Owner's Checklist. If you would like advice about buying or managing your own business, contact the business advisory team at JPAbusiness on 02 6360 0360 for a confidential, no-obligation discussion.